What is the name of your business? and what do you do? 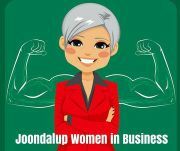 Established in March 2012, the Joondalup Women in Business group is a very friendly networking group created to support business women in the Northern Suburbs. You do not have to live and/or work in Joondalup to be part of this group. Whether your business is a big business, small business, network, home-based or online, we would love you to be part of our group. 2. Monthly Social Saturday - dates/times vary each month. We appreciate as a member that you would take the time to RSVP to events as they come up so that we can organise seating,notes, catering etc. And please ensure that you have ticked to received notifications so that you do not miss out on any events coming up. * Members are not permitted to hard-sell their business to any other member. * Members are not permitted to try and recruit other members for their own DS, MLM or network style business. * Members are not permitted to use this group to push their own events. * Although we encourage members to catch up with members that they get along with, it is not permitted that a member calls/emails/ texts another member with the intention of getting business or joining anything. This includes their business or their events. * If you have an event coming up that you would like to share with the group, the best way to promote your event to the members is to email me and I will send it out to the group. This way, members can decide for themselves if they would like to attend - with no pressure. Your event must be either free or under $100 to attend. Your event must be business related. 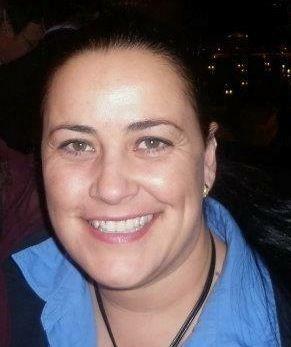 My goal as the group leader , is to ensure that every member, no matter who you are or what you do, can come along to the JWIB Meetups and feel welcome and meet other business women in a very friendly setting. We want our members to create amazing friendships and build strong business alliances and referral networks but also without any pressure, hassles or worry of being sold too. Unfortunately members who do not follow the rules will be removed from the group without any further notice. Finally, please use your own (face) photo as your profile picture so that we can see who you are, and add your business details to your profile so other members can find you easily. I hope you enjoy your membership and make the most of meeting some great business women at our events. We look forward to hearing all about you. What Is Happening In Perth!